Why is a libertarian Nobel Prize winner in favor of free college? 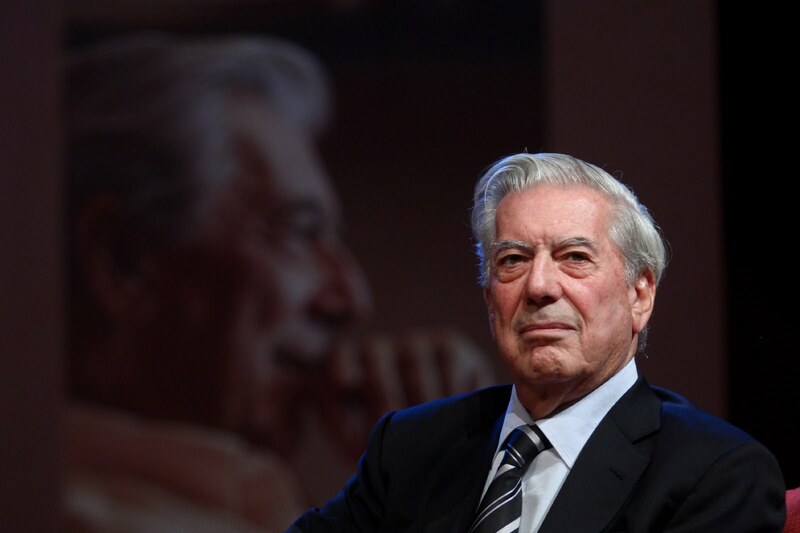 Mario Vargas Llosa’s politics are confusing for a lot of people, in Peru some called him a neoliberal and in United States some think he is conservative, but the fact is that he calls himself liberal and he explains that he is classical liberal, not a Keynesian. The Peruvian Literature Nobel Prize winner is a supporter of democracy, free markets, abortion and gay rights. He sounds like a serious libertarian, but he supports a policy few libertarians would support — free college. How to explain his support for a policy that socialists like Bernie Sanders have embraced? Well, he is man of his own and even criticize libertarians for focusing more on economics than culture. Libertarian bating sites like Salon usually promote the idea that libertarians are only white male readers of Ayn Rand but I wonder that social democrat writers would think of libertarians supporting free college. Mario Vargas Llosa studied Literature in National University of San Marcos, the most ancient university in the Americas. In Peru, public universities are completely free. Mario Vargas Llosa had spoken that his alma mater was where he convinced himself to be writer and spoken about the fundamental role of the public education in the development of the country. I attended to the same alma mater that Mario Vargas Llosa, I studied Philosophy there and I know that most students and even professors define themselves as leftists. There are not many people there who define themselves as libertarians but a funny anecdote was when social democratic professor of social science propose to privatize the university. So who was the libertarian and the social democrat in that case? I think that people are more than political labels, independent thinking is always needed. The libertarian icon Karl Hess used to make fun of libertarians who defined themselves as Hayekians or Misesians, saying they were in same trap of Marxists who called themselves Stalinists or Trotskyists. Karl Hess, like Mario Vargas Llosa thought that politics was more than a devotion to a certain political philosopher or only economics but the product of one’s own experience and culture. Mario Vargas Llosa novels might not be as resolutely pro-free market as some libertarians would like, but the fact is that with his diverse visions of liberty, the Peruvian writer teaches a valuable lesson to supporters and critics of libertarianism, a real free individual is one who can think on his own, not someone who repeats like a parrot the things written in a book of economics.